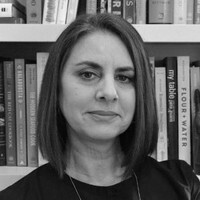 The former publisher of the premier lifestyle book imprint, Clarkson Potter, and her own eponymous imprint at Penguin Random House, Pam Krauss has worked with such household names as Ina Garten, Alice Waters, Mark Bittman, Giada De Laurentiis, William Davis, M.D. (Wheat Belly), Rachael Ray, Alicia Silverstone, and numerous others. Books she has acquired, edited, and published have topped bestseller lists and received awards from the James Beard Foundation and The International Association of Culinary Professionals. She has also written on lifestyle topics for Kitchn and Taste, and was the founding editor of the online magazine Giada Weekly. Currently she is working as an editorial and brand consultant, a freelance editor, and collaborating on several book projects. A longtime resident of Brooklyn, she divides her time between Ditmas Park and Southampton, NY, where she spends much of her time testing recipes, micromanaging her gardens, and overseeing her neighborhood association's website.